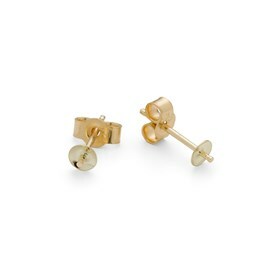 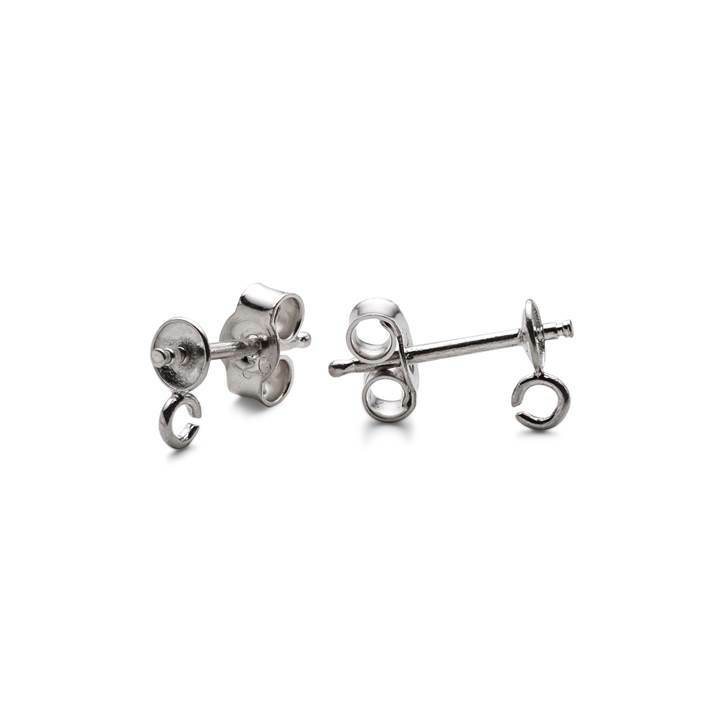 This lovely earstud setting for half drilled bead design has a loop for attaching drops and a cup for 4mm half drilled beads, we think they look great when set with pearls for wedding jewellery. 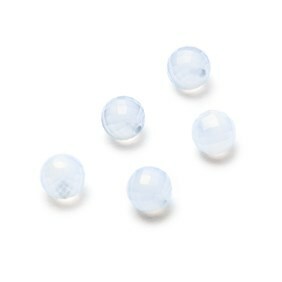 We recommend using Devcon epoxy for gluing the beads onto these settings. 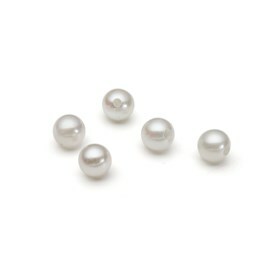 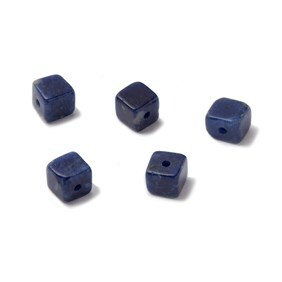 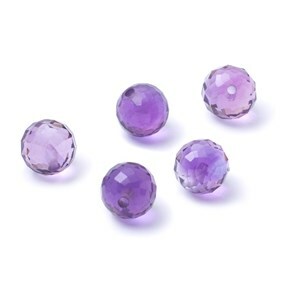 Our settings are sold without the stones so you can choose your favourite from our range of half drilled beads.